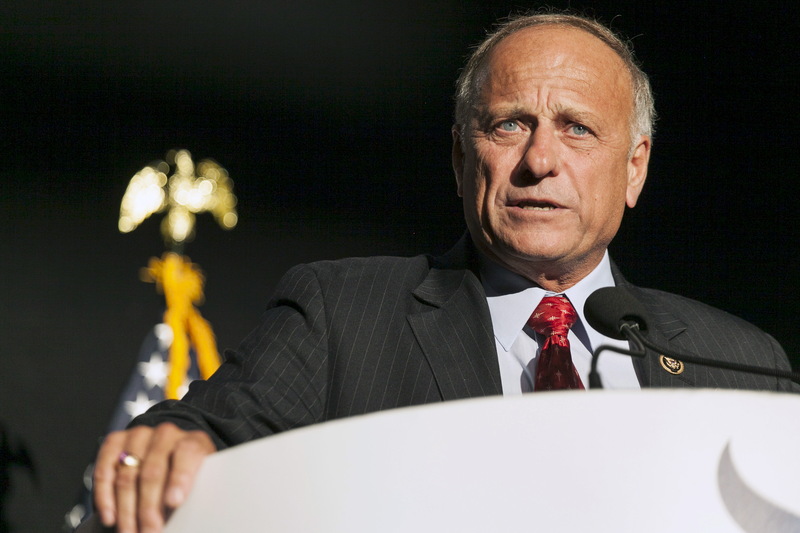 WASHINGTON — Iowa Republican Rep. Steve King voted Tuesday for the House disapproval resolution that formally rebuked him for making comments related to white supremacy during a New York Times interview. The disapproval resolution that condemned white nationalism and racism, authored by House Majority Whip James Clyburn, passed the lower chamber 421-1. The lone dissenter was Illinois Democrat Rep. Bobby Rush who claimed the resolution did not go far enough to punish King for his remarks. A censure would require the member in question to stand in the well of the chamber following a majority vote to be rebuked and have the Speaker of the House read the list of grievances against that member. Twenty-three members of Congress have previously been censured for various violations. “What he said is he agreed with my resolves is what he said,” Clyburn later told reporters he did not believe that King was misinterpreted as the Iowa Republican explained. “Oh no. I can accept that he was misinterpreted if he did not have the record that he had,” said Clyburn. “I think expulsion would be fine with me,” Clyburn confirmed. Rush is expected to put forth his motion to censure King on Wednesday.